When you choose to do business with We Buy Any Car, you are doing business with a highly motivated Isuzu buyer. To put it simply, we want to buy your Isuzu regardless of the model, or what kind of condition it is in. We offer you personalized customer service that is second to none, and you won’t be offered a better price for your Isuzu anywhere else. We will buy any car whether it has scrapes, scratches or has completely rusted out. Even if your car won’t start or move, when you want to sell your Isuzu, we want to buy it! We don’t waste our time or yours by telling you one thing and doing another – we will buy any car, and that’s all there is to it. You will get a fair price for your Isuzu and service that could have you out the door with a check in your pocket in less than half an hour after you drop your car off at any of our locations. You just can’t find a more convenient way to sell your Isuzu anywhere! Founded in 1916, Isuzu is a Japanese car manufacturer which has close to a century of experience in building fine automobiles. Isuzu manufactures a wide range of cars and SUVs; some of their most popular models in the US market have included the Ascender, the Axiom, the Frontera Sport, the Hombre, the Kai, the Oasis, the Rodeo and the Trooper. 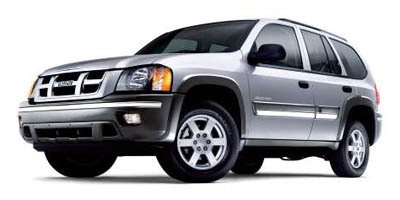 Isuzu discontinued selling passenger vehicles in the United States in 2009, although because of their excellent engineering and quality, hundreds of thousands of them are still on the road.